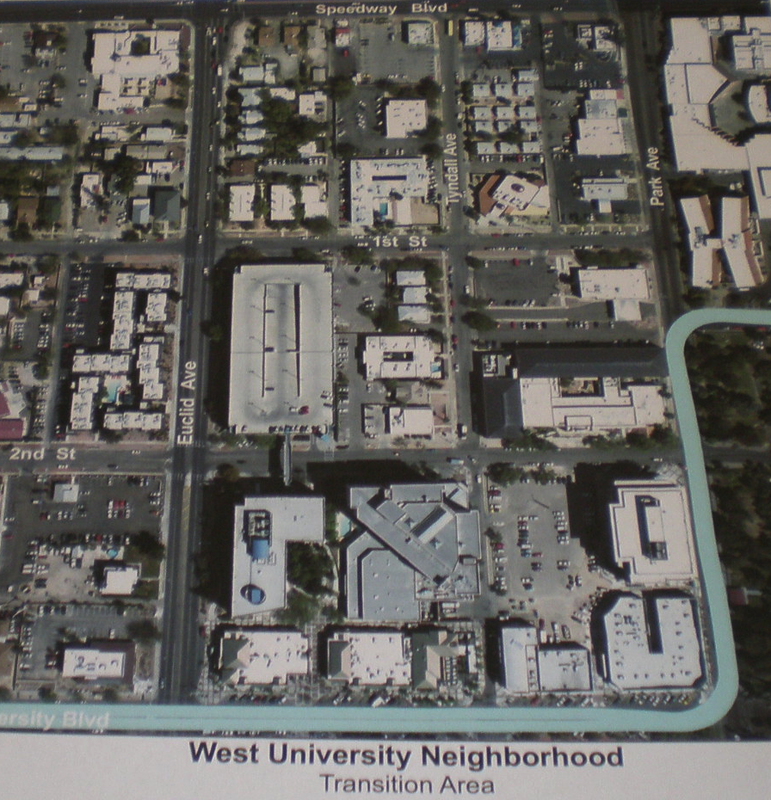 On May 22nd West University Neighborhood Association (WUNA) sponsored a public charrette focused along its interface with the University of Arizona. Bill Mackey of Rob Paulus Architects introduced the forum with a brief historical overview of density comparisons. WUNA welcomed the suggestion that its transition areas could benefit from creatively placed density increases It currently has a density 4 to 5 dwellings per acre compared to our foothills which is 1 unit per acre. The charrette focus was along the street car route. 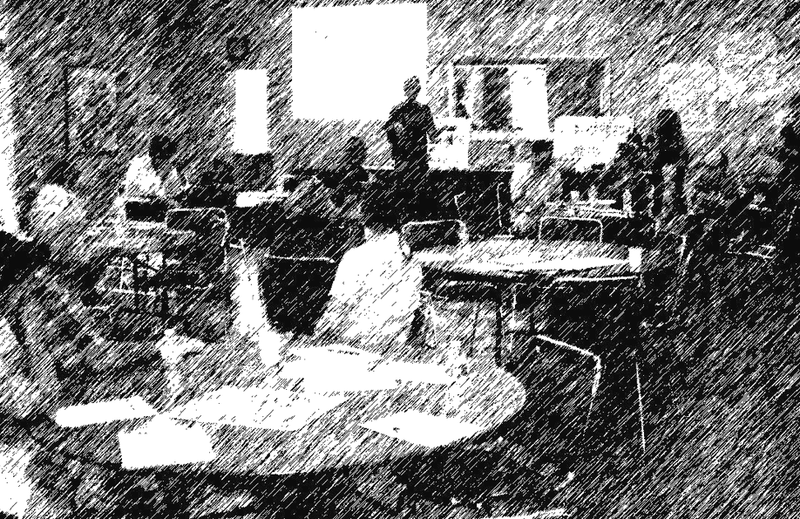 Approximately 30 participants split into groups to study the area bordered by Speedway, Park, Euclid and 6th St which is shown in the attached clickable thumbnail. Properties in the area comprise a variety of owners which are candidates for creative re-development and higher density . Charrette participants discussed pros and cons, ideas, uses, functional issues and transition concerns along existing homes situated at the corner of Speedway and Euclid. Dean Cervelli of CALA, the College of Architecture and Landscape Architecture, talked about an upcoming studio focus on interface design and planning issues. Jane McCollum of the Marshall Foundation provided input on her concerns for the focus area. WUNA has taken a bold first step to engage in a dialogue that will encourage many other neighborhoods to get on board, deriving ultimate support from the University and the City of Tucson. WUNA plans to continue its lead in this discussion as the modern streetcar project develops, which runs through the center of its historical neighborhood. Many other sensitive neighborhoods stands to gain increased stability and identity as the momentum for re-inventing Tucson’s core continues. A dynamic interface between Tucson’s urban core, the university and historical neighborhoods will benefit all of Tucson. Join the discussion. Get involved.